Hello my lovelies! It's the last day of September and frankly, I couldn't be happier that this dreadful month is over. Not that I'm a big fan of October, but this past month has been very hard for me. The weather outside is very cold and rainy like November anyway. To cheer you up I have some Sunshine for you. Zoya Sunshine that is. Hello my lovelies and happy Sunday! The manicure I'm showing you today is really old. I think it's been almost two months since I did these nails and I wanted to post them but somehow I didn't have the time. It's a summer manicure so it doesn't really fit with the season. I don't know about you but I miss summer, so anything that reminds me of those warm days is a pleasure to look at. Hello my lovelies! I'm back! My exams are over and it went pretty well, so now I can be officially called a doctor. First off, I would like to apologize for being absent, for not answering comments and not commenting on your blogs. It has been a crazy summer for me. I can't really promise to catch up because it's too much to catch up on, but I will at least try to keep up from now on. Speaking of catching up, the Where In The World challenge has been patiently waiting for me to finish it, and since today's TPA Group Challenge theme was "Inspired by a Country" I decided to do the next country on my list, namely Japan. I don't usually do two challenge manis in the same post, so this is an exception. I also went with something very simple because I was running out of time. My initial plan for Japan was to do Sailor Moon nails but I ended up with Hello Kitty instead. I always think of kawaii when I think about Japan so I guess it works. Hello lovelies! Today is a really important Monday for me. I have my diploma exam this week (starting tomorrow) so I'm very nervous and don't know if this post will make any sense. I'll be done by Thursday, so expect the next post at the end of the week. This post is a little random, starting with the title. These nails started just as a pretty manicure to cheer me up after I chopped off the long nails I had before. I had to use one of my favorite polishes ever, so I went with A-england Tristam. Hello my lovelies! It's Saturday and I sure hope the weather is better where you are. Over here it's raining and it's frankly really depressing. I don't feel very happy about summer ending because I didn't get to do any summer stuff this year, so today's challenge theme had me in a pickle. I thought about choosing a season other than fall, but the weather outside doesn't really inspire me to do summer nails. So I went with fall nails using a new to me technique: watercolor nails. You might also notice that I shortened my nails quite a bit. I'm afraid they are gonna stay short like this and I'm not gonna grow them to the length they had for the past weeks. It's just not practical enough for me. Anyway, enough with the rambling, let's see the nails. Hello my lovelies! Today's post is all about brushes. Nail art brushes to be precise. I'm always looking for the best ones out there, so when I saw this brush kit from the Born Pretty Store I just had to try it out. They were kind enough to send it to me and I've been testing it out in the past weeks, so now I can tell you what I think. First off, here's how what I'm talking about. Hello my lovelies! Today is the start of my last week of studying. I will probably not post as much as I usually do so the blog will be a little quieter this week. Please bare with me until this passes! 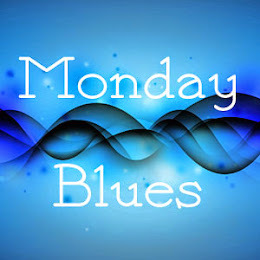 Today's Monday Blues is another happy story. This polish has been on my wishlist for ages, but it's been discontinued a long time ago. I was sure it would never fall into my hands, but then through an immense luck and through Chiro's blog sale it did. Oh happy day! Hello my lovelies! I woke up this morning to a very gloomy weather. I love a lot of things about fall, but the depressing weather just isn't my thing. I'm so sorry summer is over! I hope that you are having sunnier weather wherever you are. Today's TPA Group Challenge theme is all about astrology. I'm not very good at these things and my zodiac sign is the Sagittarius, which is pretty difficult to paint. Here's what I came up with. Hello my lovelies! I have something very fun to show you today! I know summer is over but it's never too late to wear a little neon. Especially when it comes to studs. 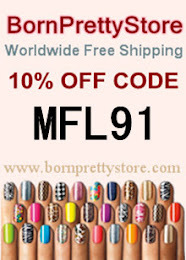 The Born Pretty Store always comes up with the best nail art accessories and this time they came up with these amazing studs. You know I'm a big fan of studs and bright colors, so it really doesn't get any better than this! Hello my lovelies! Now that the untried challenge is over, I can finally do a Pink Wednesday post. I haven't done one of these in a very long time so I'm excited. The one I'm showing you today is something that I don't wear very often but it was on my wishlist since forever because it's so pretty. Take a look! Hello my lovelies! Today is a very special day for my blog because it's my 2-year blogiversary! 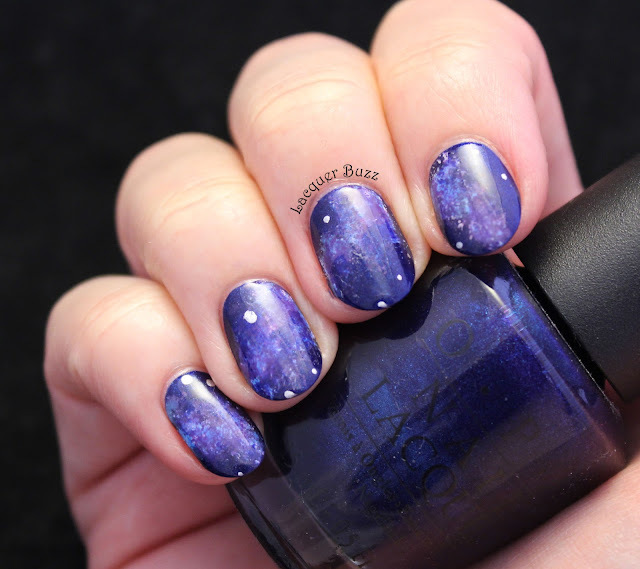 Exactly 2 years ago I posted my first manicure on this blog. Over 500 posts later and I'm still enjoying it as much as I first did, if not more. I've learned a lot in these years and I'm very grateful for the amazing people I've met through this experience. Most of all, I'm grateful for YOU, my followers! So today's post is dedicated to all of you. Thank you from the bottom of my heart! Hello my lovelies and happy Sunday! It's been far too long since I've posted a manicure from the Where in the World challenge. I've been busy but the truth is that I've also been stuck. The fact that this challenge allows you to go at your own pace didn't help either and only worked together with my laziness. So the reason I've been stuck is Colombia. One of my favorite writers, Gabriel Garcia Marquez, comes from Colombia and I really wanted to honor him with a manicure. But the truth is that his books are so complex that you can't really do a simple manicure out of them. I ended up with something I'm not very proud of, but I don't know what else I could do. Hello my lovelies! It's Saturday! So while you are probably relaxing I'm off to study in a bit. But first I need to show you this week's TPA Group Challenge manicure. This week we had to be inspired by a flower, and since last week I've done stamping and I've also done plenty of flower manicures before, I wanted to do something out of the ordinary this time. I've been meaning to do a manicure inspired by this painting for ages. It was a birthday gift from a dear friend of mine and it sits by my bed to cheer me up whenever I'm down. Here's the painting I'm talking about. 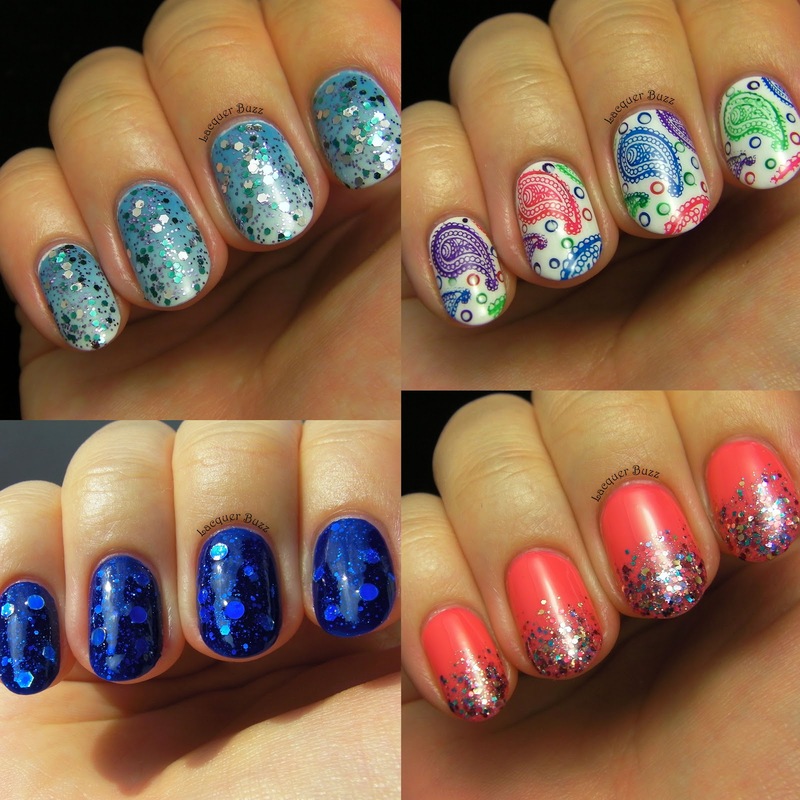 It looks easy to do, but recreating it on a tiny nail isn't that easy. Here's my final result. Please be gentle! Hello my lovelies! 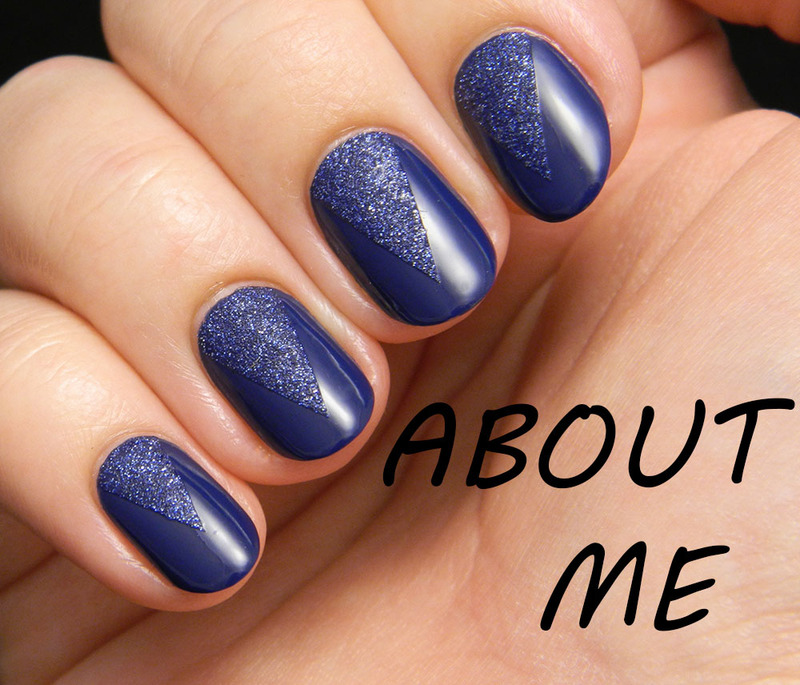 It's time for me to take your Monday blues away with a beautiful polish. Last week's post wasn't a very positive one because I talked about a polish that was a fail for me. To make up for that, I have a very happy story to tell today. A while ago I saw this beautiful franken called Waking Up At Midnight on Chiro's nails. If you don't know what a franken is, it's a custom polish created by mixing different polishes together. This particular one has been designed by Jeanette aka The Swatchaholic (you can go to the original post containing the recipe by clicking on the link). I didn't have some of the ingredients needed back then, so Chiro was sweet enough to send me a bottle. Here's how this beauty looks on the nails. Hello my lovelies and happy Sunday! It's the first day of September and that means a recap post is in order. I'm not sure how I feel about summer being over. On the one hand, this was an exhausting summer for me but on the other hand I'm not looking forward to dreadful September either. It's gonna be more stress and studying, only with cold weather and rain. August didn't have a lot of nail art but I did manage to do a few nice manicures, so here are my favorites.